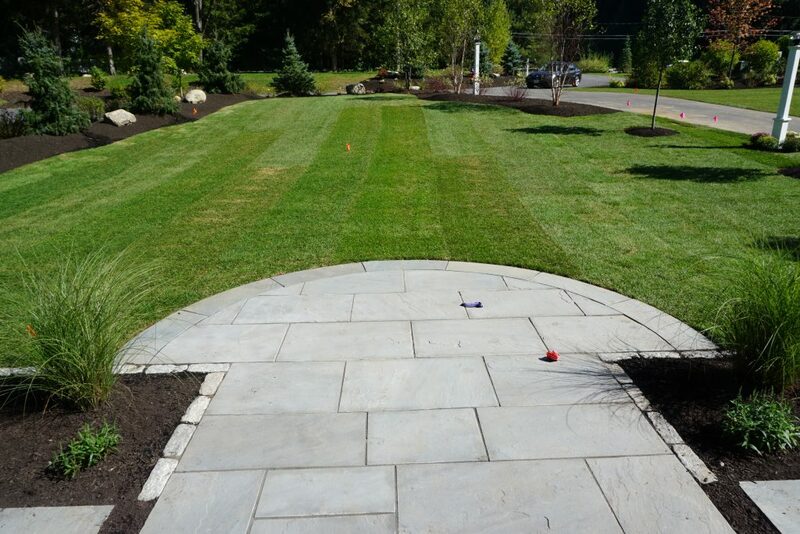 The Owners enjoy sitting out in front and playing with their dogs on the expansive lawn so we provided a bluestone terrace to accommodate their Adirondack chairs. 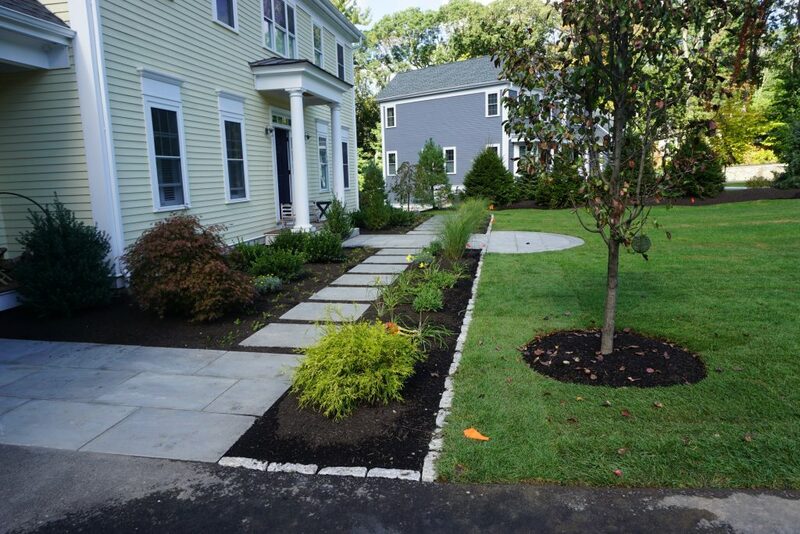 A mixed border lines the bluestone stepped entry walk. 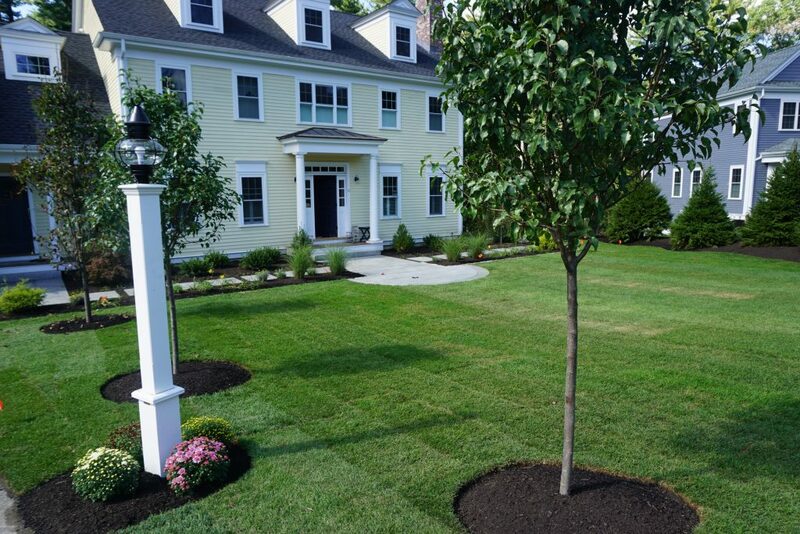 The bluestone terrace and front lawn create a warm welcome. 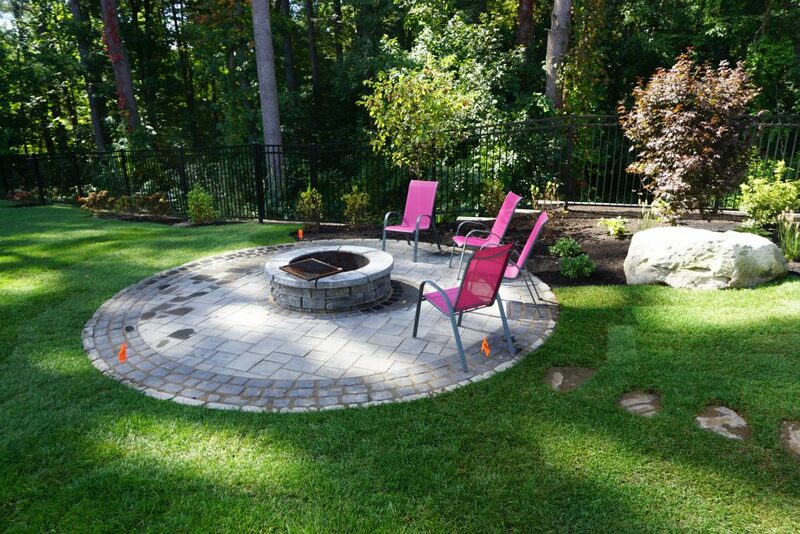 The fire pit is a perfect place to gather with family and friends on a cool Summer night. 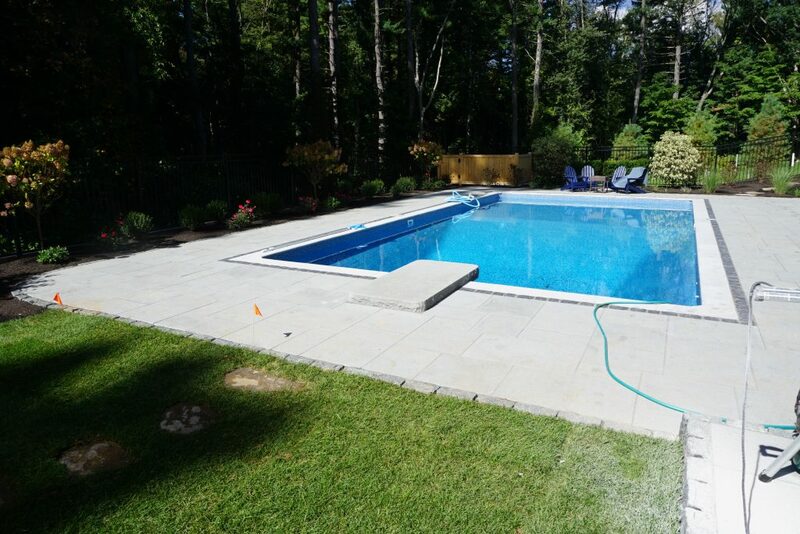 A new deck has easy access to the fire pit and swimming pool. Let the fun begin! 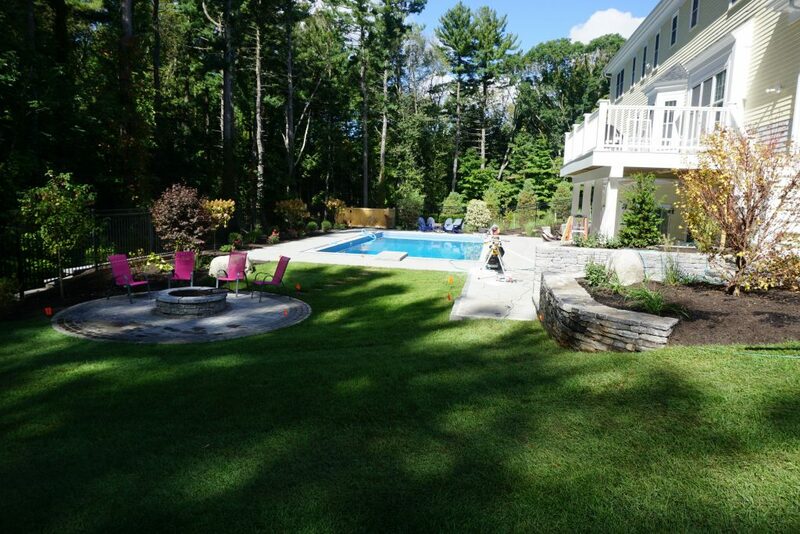 A grass covered sloped yard becomes an incredible Summer oasis with the addition of this beautiful pool with granite paved terrace.